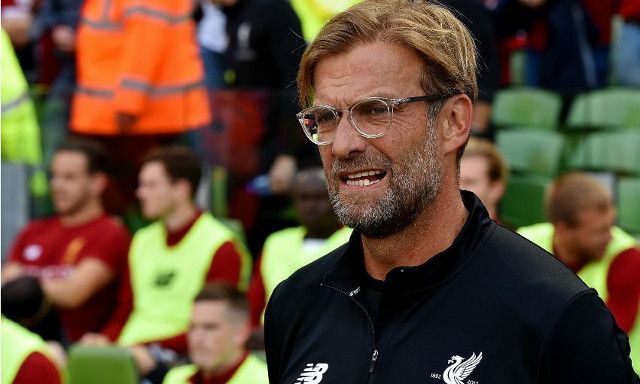 Jurgen Klopp believes Liverpool have what can be perceived as three new additions to his squad even before spending any more money in this transfer window. The German has made three signings so far this summer with Mohamed Salah, Dominic Solanke and Andrew Robertson all joining in time to play a part in the club’s pre-season preparations. Liverpool are still believed to be in pursuit of Southampton’s Virgil van Dijk, but it remains to be seen whether an alternative will be lined up for RB Leipzig’s Naby Keita, who the Reds have ended interest in for the time being after seeing bids of £57m and £66m rejected for the Guinean. Klopp has dropped an interesting hint that two previously out-of-favour players may be primed to emerge as ‘new signings’, as well as suggesting he already has fresh midfield option. “We’ve always said that until August 31 we’ll run through the world with open eyes, that’s clear, but it’s not us alone who decides about these things. It’s all about other clubs [too],” he told Liverpoolfc.com. Moreno’s strong pre-season appears to have given him new hope in terms of having a future at Liverpool, although it will be interesting to see what decision the club will make were his £15million asking-price to be met. The Spaniard previously looked set to leave this summer, but seems to have given Klopp enough confidence to believe he will now be able to deploy Milner in his preferred midfield role once again. Kent faces a similarly interesting few weeks with the winger taking not only his manager but also Liverpool fans by surprise with a number of bright performances, having also been expected to be sent out on loan again. The 20-year-old spent last season with Championship club Barnsley, but has since returned with a notable desire to fight for his place at Anfield. While a couple of new signings can be expected, Klopp clearly feels he already has players capable of having a new impact.